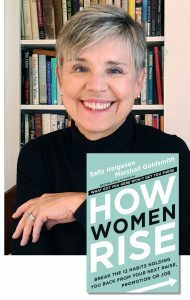 Sally Helgesen’s latest book, How Women Rise, co-authored with Marshall Goldsmith, is available now. It explores specific behaviors that get in women’s way as they seek advancement and offers powerful solutions to help women realize their full potential. Sally Helgesen is the world's premier expert on women's leadership. In addition to delivering workshops and keynotes in corporations, partnership firms, universities and associations around the world, Sally has consulted with the UN on building more inclusive country offices in Africa and Asia and led seminars at the Harvard Graduate School of Education and Smith College. 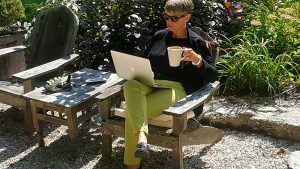 She is a contributing editor for Strategy + Business magazine and a member of the MG 100 Coaching Network and the New York and International Women’s Forums. She lives in Chatham, NY. Sally has been Chief Architect of my awakening to the abiding power of women leaders. Sally's work is truly visionary. She provides unique insight into how women can thrive in life and at work and inspires women to invest in their own progress. Sally is an original. She pioneered women's leadership before it was a popular topic and has established herself as the gold standard in the field. No one is more qualified than Sally.